Disclosure: This post is sponsored by Global Influence. The opinions and views are my own. Big dreams. That is always what she had. Still does! Growing up, she was always performing for the family and commanding the attention of just about anyone who passed through. She could light up a room with her smile. An impromptu performance. Her voice. Herself. When the spotlight was given, she embraced it. Performing was etched in her DNA. Still is! The talent and skills. Raw and real. Her words on paper are just as impressive. She can string together the most melodic lyrics for a song or author the lines for a chapter in her possible autobiography one day. She has always chased her dreams. 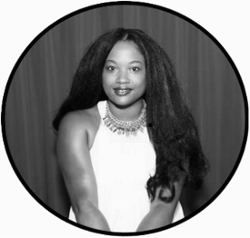 So much so that she left her home state of Maryland, moved to New Jersey alone, and settled just a short drive away from New York City, where dream-chasers often flee to. The strides she has made since starting her journey there years ago have been nothing short of amazing. She has written, produced and published numerous songs. She has been the voice for an audio tape for a Wendy Williams book. 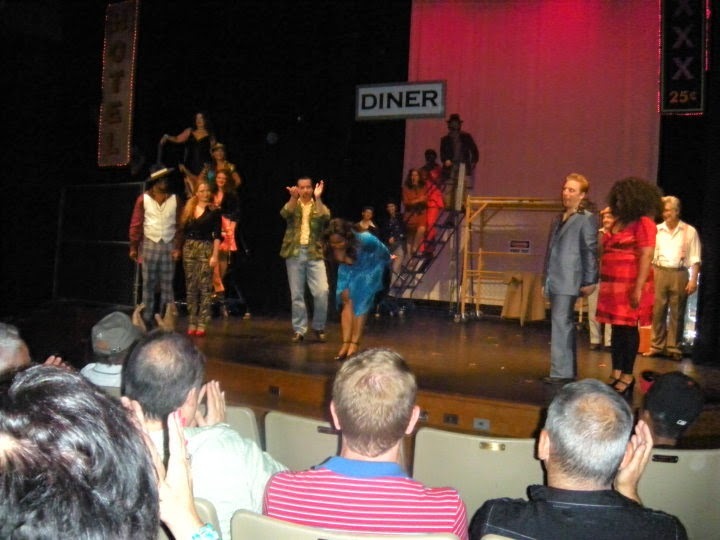 She has been on the stage several times playing the roles of memorable people. The list goes on...and on...and on. I sometimes have no idea how she has accomplished so much in all her youth. Well, I actually do know. Let's just say I'm amazed by it. Her dedication to building a life that feeds her soul and carries out her dreams is beautiful. Knowing what she wants, how she can attain it and making it happen is beautiful. My inspiration. 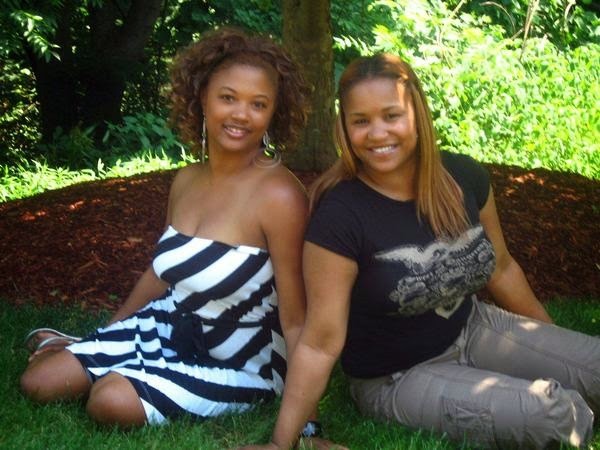 My Family Dollar Dove Value Your Beauty Inspiration is my cousin, godsister, best friend and confidant – Rasha Jay. 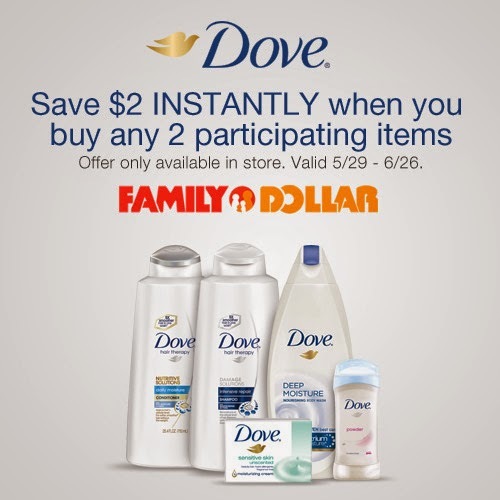 Right now, Family Dollar and Dove have an awesome sweepstakes taking place. 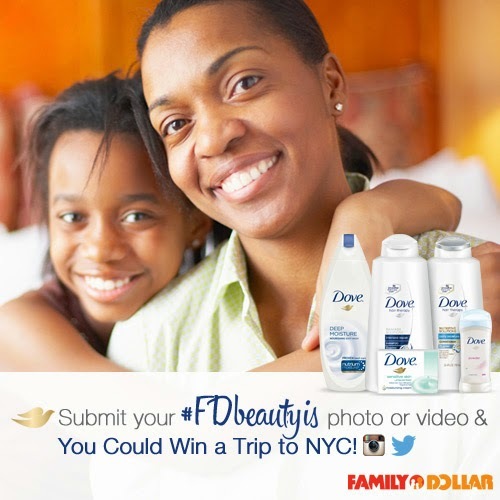 You and your beautiful and inspirational family member could win a trip to New York City! Take a picture of yourself and the family member that inspires you. Either upload your picture to Twitter or Instagram. Don't forget to use the hashtag #FDBeautyIs so that your picture can be searched among the other great entries. Head over to the official site and register your information. Click here to so that. If you want an extra entry, just post the URL from your picture on Twitter or Instagram. You can do this daily! Family Dollar currently has a great deal on participating Dove items. Save $2 instantly when you buy two or more of them. This offer is valid from 5/29-6/26. So, who inspires you? Let us know. Head on over to get your entry in today. This post is sponsored by Global Influence. The opinions and views are my own.